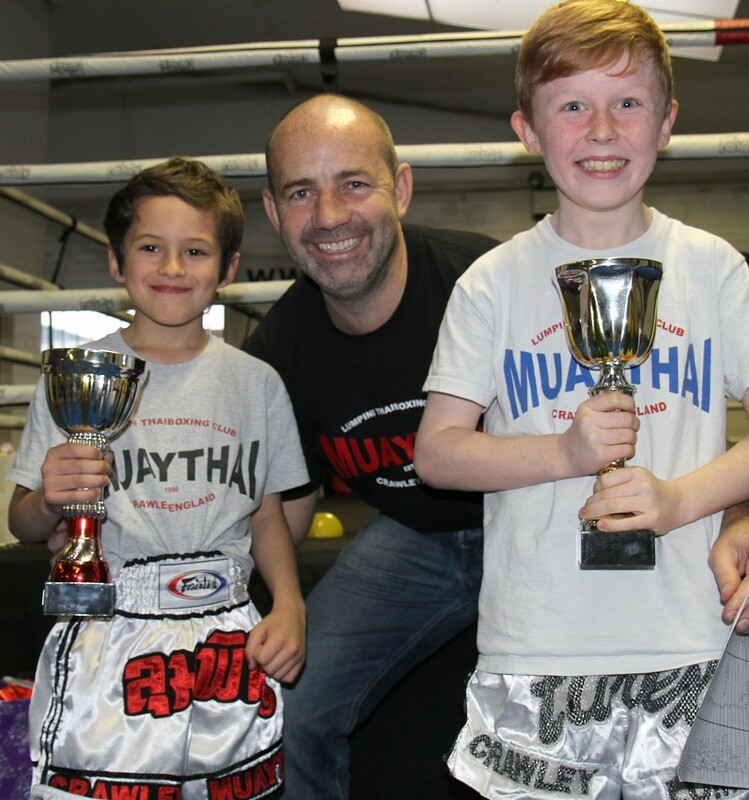 Our Little Champions and Future Champions Thaiboxing classes are martial art classes are designed to get our youngest members get started in martial arts, learn important physical skills and grow in confidence. 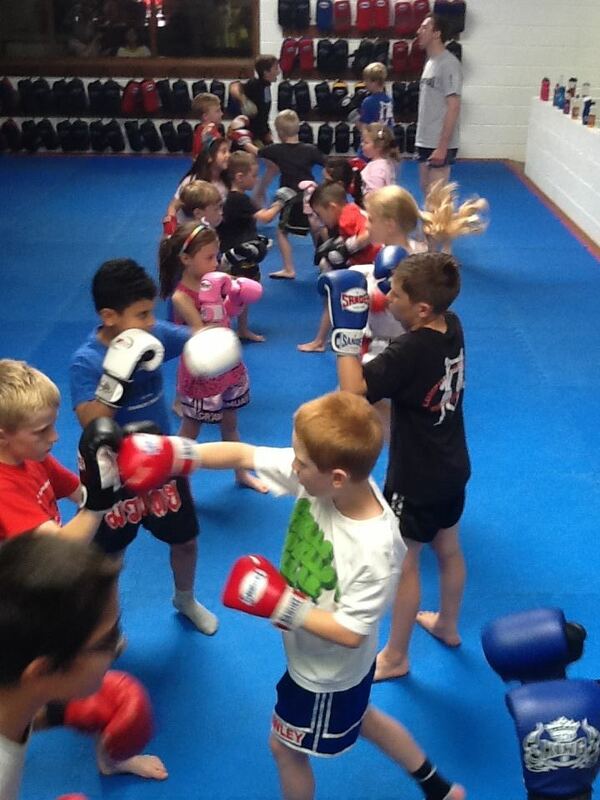 Our Little Champions are aged 4 – 7 years and our Future Champions are 8 – 12 years. A martial art and a martial sport, our Kids Muay Thai classes will help you child grow in confidence, beat bullying, build their self-esteem and improve the self-discipline while making them fitter, stronger and healthier kids. Crawley’s next Champions in the making, Ace and Draemon recieve awards from instructor John Jarvis for Most Improved and Best Attitude at our end of year ceremony! Our team of instructors are all experts in their own right, have trained and competed at the highest level and our assistant instructors are all active competitors in our sport. Plus they all have years of experience teaching children martial arts. It means your child will learn from British, European and World Champions who teach martial arts professionally and are all CRB checked and First Aid qualified. Inside our full-time gym (in Manor Royal, Crawley) are some of the best in the South East. Our matted gym is a safe environment for children to train and equipped with everything they need to become Champions martial artists. We have parking, changing facilites and a cafe with a viewing area so you can watch your child smiling, sweating and laughing! We have classes 5 days per week and each class runs for one hour so there are plenty of training times available and our gym has parking outside. Pricing is per class or per month and all your child needs to wear are a t-shirt and shorts, to bring a drink and an entusiastic attitude. Our instructors will do the rest! To find out more about our Champions Kids Martial Arts Classes, Crawley you can call us on 01293 552 511 or enter your name and telephone number into the enquiry form on this page.